Oh, hello lover! (that would be The Weekend, my dear sweet love). Absence makes the heart grow fonder and I have missed you so! I’ve got a ‘practically family’ friend flying into town just a few short hours from now. We’ve had amazing weather and I’ve been super inspired and yesterday my son turned 11 months old. Hello! Who took my baby and what is this little boy doing here?? 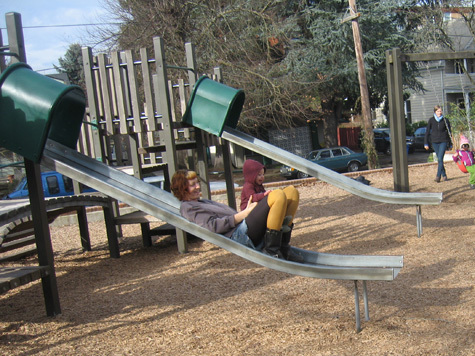 We sure had fun playing with other kiddies at the vegan meet-up, though. So okay, little boy, I’ll take it. Have you checked in on this month’s MMM? It’s a *really* good one, and we’ve already had someone receive a gift and come find the site to say hi. SO COOL! Hi Merlissacorn! Welcome! 1. Waits’ rosy nose when we play outside in winter, as evidenced above. 2. Um, the fact that it’s winter and it’s totally warm enough to play outside, with only a rosy nose to worry about! Alright my dears. This happy little post will stay at the top of the page all weekend, so stop by any time to leave your Love List, ask a question, or offer some feedback! Or if you’re new, please introduce yourself and say ‘Oi!’! This is your community, so get involved! 1. Running with my daughter in a 4.77 mile race tomorrow morning! It’s gonna be cold, and rainy, and we don’t care – that’s what the clear bubble rain cover on her jogger is for, right? 2. My chickens! They have been especially goofy this week, and I don’t know what I would do without my little flock. 3. Finally knowing that you’re going to reveal the Super Secret Project™! 1. Comfort Food – I had some major cravings for warm and hearty food this week, which were perfectly satisfied. 2. 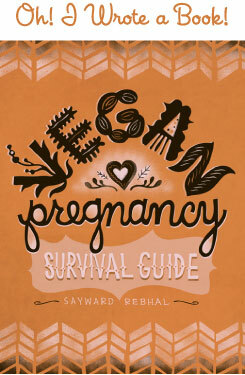 The new cookbook from Happy Herbivore I received last weekend. I’m not vegan, but I’ve finally read through most of the recipes and I’m ready to get cooking! 3. A clean kitchen. We don’t have a dishwasher but somehow managed to keep the counters *mostly* clean this week. A clean kitchen means more home cooked meals since I actually want to be in the kitchen. I can’t wait to hear the super secret news! 2. going out tonight to a local restaurant that just started brewing their own beer last fall which I really love! 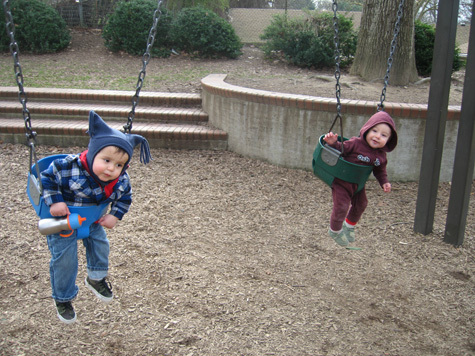 oh and a bonus one- that RIDICULOUSLY adorable babies-on-swings picture! love it! 2. Snow! Never seen it before this morning! It’s gorgeous! 3. 25 days until we move…YAY! 1. My birthday is tomorrow!!!!! 2. The grand new outfit I got for myself to wear tomorrow, happy birthday present to me. 3. Really looking forward to coconut mojitos tomorrow night at the little pub we’re going to. Love, LOVE them!. YAY! i can not WAIT to know what the super secret big deal is!!! i’m SO excited about that! 1. my space heater. seriously. 2. spending the night last night with my bf’s aunt and ADORABLE baby! we drank wine, ate edamame, watched tosh .0, slept in the most luxurious bed and woke feeling amazing! yay for adventures on school nights! 3. pretty light hw load this weekend, yessss! 1. feeling like i’m actually getting my life in order – no mean feat for a girl with gypsy blood! 2. writing an awesome paper, after having been out of school for years. take that, shakespeare. 3. finding http://www.theveganstoner.com – super cute, super simple recipes that are making my life sooo much easier. yay! WHY DID YOU TELL ME!? I forgot and now I’ll be waiting all weekend :(. Oh I am so excited to hear about your Super Secret Project™!! 1. I’m going to an surprise birthday party tomorrow for my 86 year-old grandmother. 2. I had homemade pizza for dinner tonight that was yummy! 3. Getting a grouchy face from my son when I try to wake him up…it’s so cute! @Sayward- Have fun this weekend with your bud and enjoy that beautiful weather! Can’t wait to hear about the super secret project! 1. The amazing yarn sale and extremely helpful cashier at Joanne’s. 2. Stitchwitchery and all the fun I’ve had making owl, cat and dragonfly patterns for onesies. 3. My husband’s divine sweet potato and pea curry that I have been enjoying all morning. Oh man, I’ve been waiting months to find out what the super secret project is… can’t wait!! 1. Spending time with my husband this weekend. We’ve been together for seven years now (7!) and neither of us can quite believe it. 2. Looking forward to going out to dinner next Saturday to celebrate 7 years. 3. Watching the West Wing for the first time. Seriously this show is like crack. 1. Homemade root vegetable chips! 2. Vegan dinners all week! 1. Signing a lease for a house next year! 2. Basically living in the science building, ha. 3. Peach balsamic vinegar, yeeeaaaaah! OMG I’m so excited to hear about this! 1. Baking vegan desserts all this afternoon! Holy smokes I’m excited for your news!! 1. Britney’s new single. I just love that chick. 1. The end of my alcohol-free January. 2. Camping with my kids and listening to the rain on the canvas while they snore their little heads off. 3. Cooking sprees that get the whole week covered, topped by summer squash and sweetcorn soup. Lol, its amazing isn’t it, how they grow? Just wait until he can put his own boots on, grab his own coat from the closet and peddle his own like tricycle and say “I don’t need any help mommy!” Ahh! That was my day yesterday with my 3.5 year old little girl. I never realized how much like kids they are at 3.5! ok, i’m obsessively checking now! i have so many ideas of what the big super secret surprise might be! AH!!! Me too! 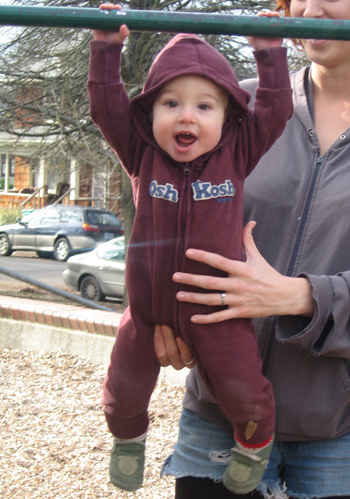 I’m offline most of the day “working” from home – with a 4-yr old running around? Yeah, right… So anyway, I’m checking every chance I get, which is not that often! I keep checking too lol! Super Secret, Super Secret, Super Secret!!! Seriously….the anticipation is just to much! Oh man, well the Super Secret Project™ has been revealed . . . it’s so highly specified at a target audience, I sure hope it’s not a disappointment to the rest of you! And sorry to keep you all waiting for so long . . . the anticipation was killing me as much as it was killing you, I SWEAR! @ RK – I hope you had the BESTEST birthday weekend!!! @ Christa – The West Wing is unquestioningly the greatest television show ever created, for reals. I am jealous that you are getting to experience it for the first time.